Us ke saath bhagawan chale…..
Award winning verse from Neeraj’s song, made true today. He’s with God leaving a void in the Hindi lyrics section of simple easy to understand verses. In an interview, Gopaldas Neeraj called himself an unlucky poet. 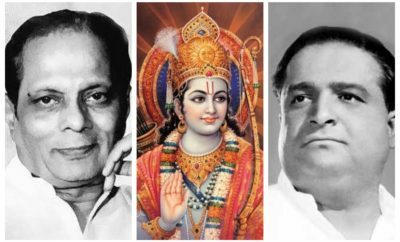 The reason for this mentioned by him was that at least two or three prominent Music Directors of the Hindi Film Industry for whom he wrote very successful and popular songs, had expired. 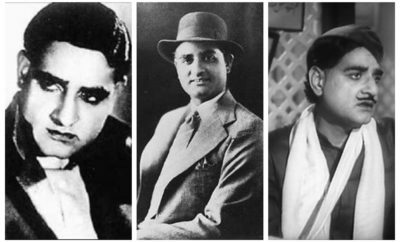 He mentioned the death of Jaikishan of the Music Duo Shankar-Jaikishan as well as of S.D.Burman, for both of whom he had written highly popular film songs, left him very depressed and he made a decision to quit the film industry, giving an abrupt end to a very promising career. He was highly influenced by the verses of Shri Harivansh Rai Bachchan. Starting his career in 1940’s by reciting in Kavi Sammelans, he entered the Hindi Film industry by writing songs for Nai Umar Ki Nai Fasal in 1960, followed by some hit films like Mera Naam Joker, Prem Pujari, Sharmilee, Pehchan, Chanda Aur Bijli, Tere Mere Sapne, Kanyadan, and Gambler. Gopaldas Neeraj has gone behind the Kaal Ka Pahiya he mentioned in his famous song. He was suffering from prostrate cancer since long and was admitted to the ICU a few days ago. He succumbed to illness a while ago. May his soul rest in peace. Whole literary world lost an eminent personality particularly Hindi film industry. I am ardent follower of lyrics may his soul rest in peace. God shall give all strength to bear this loss.